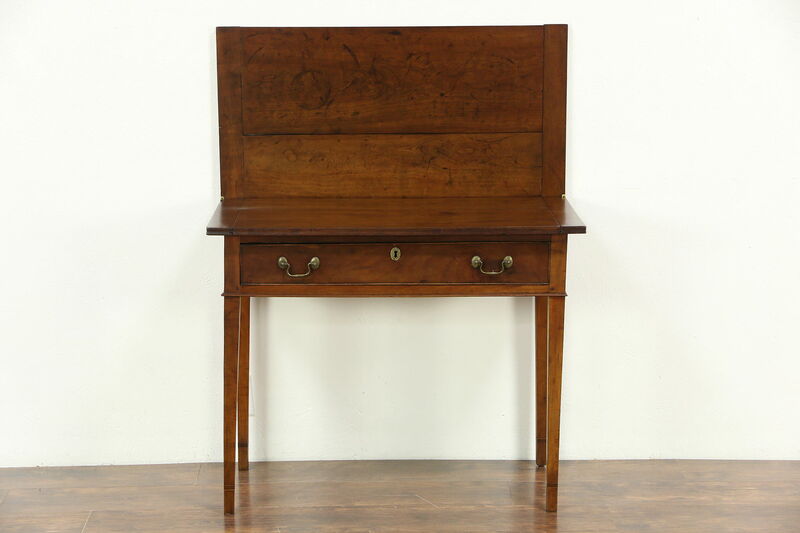 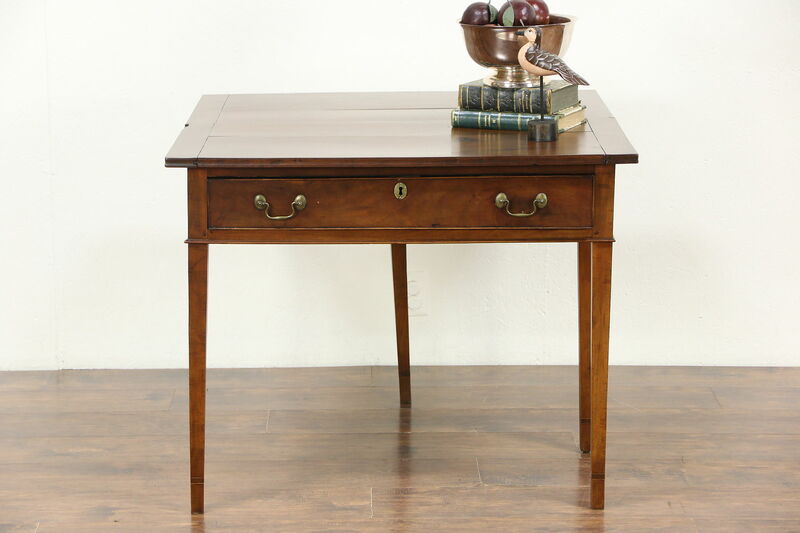 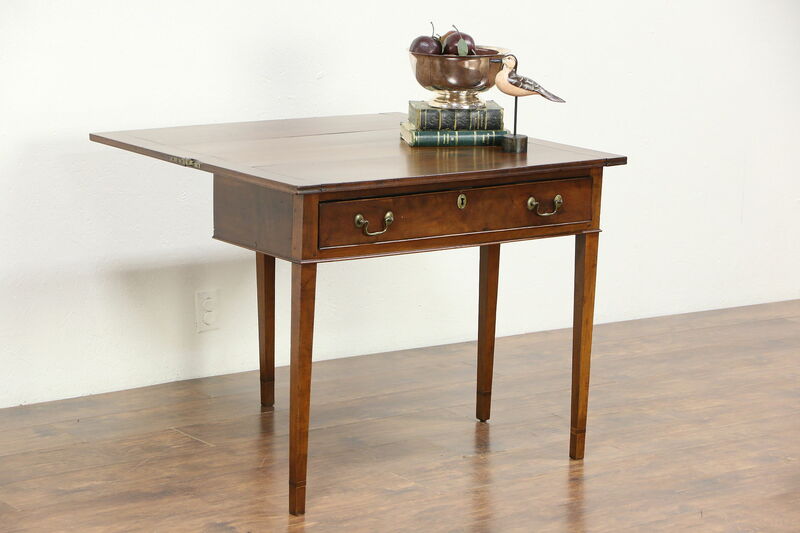 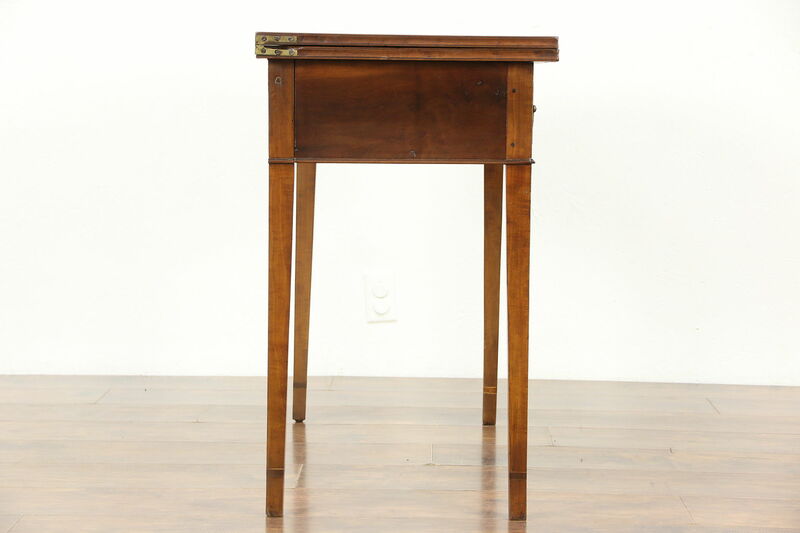 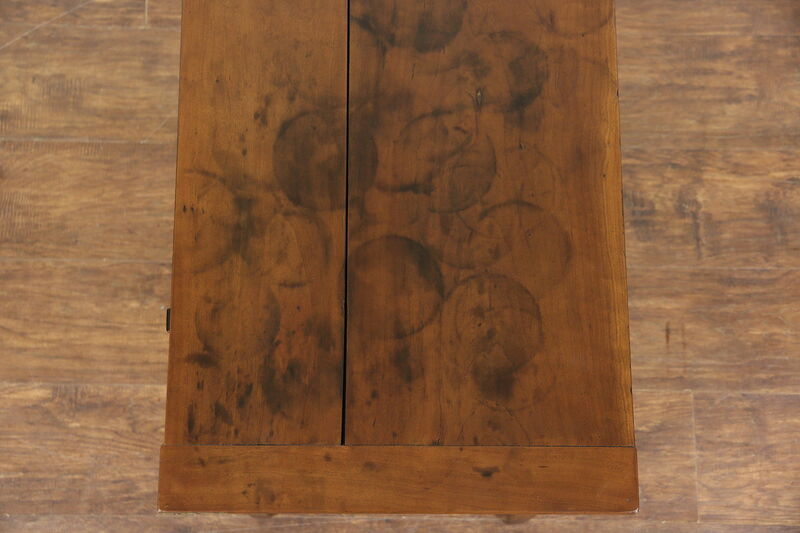 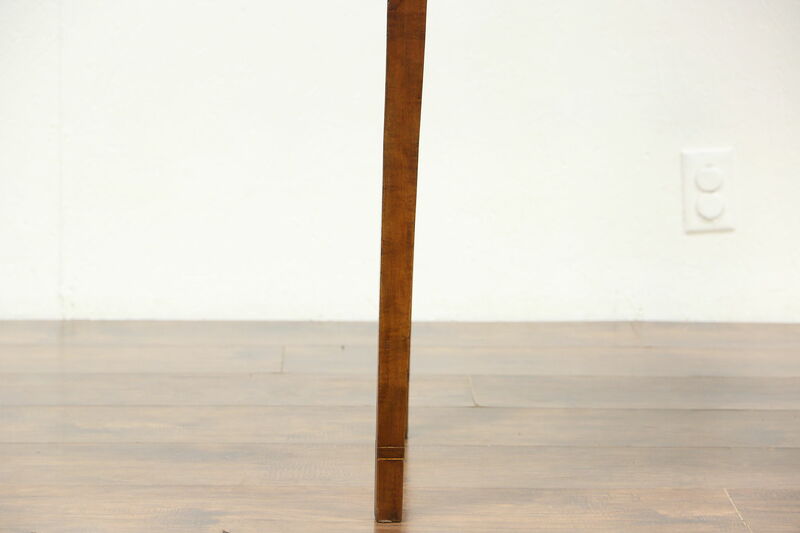 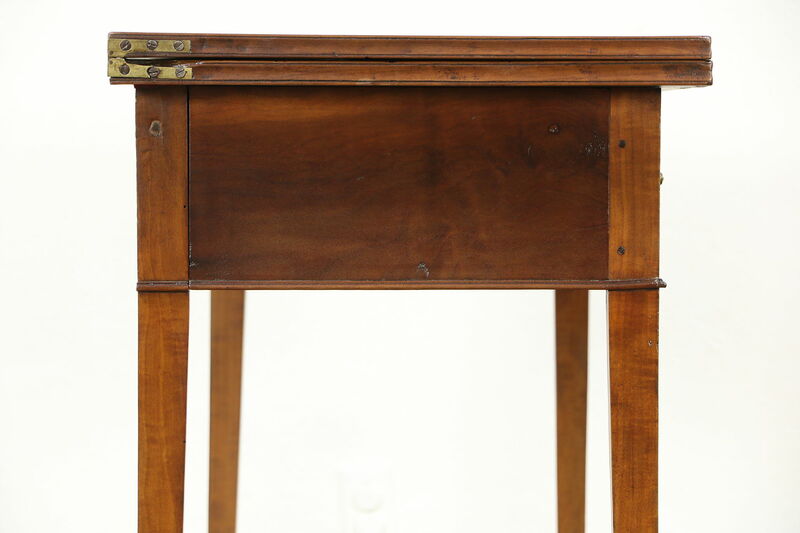 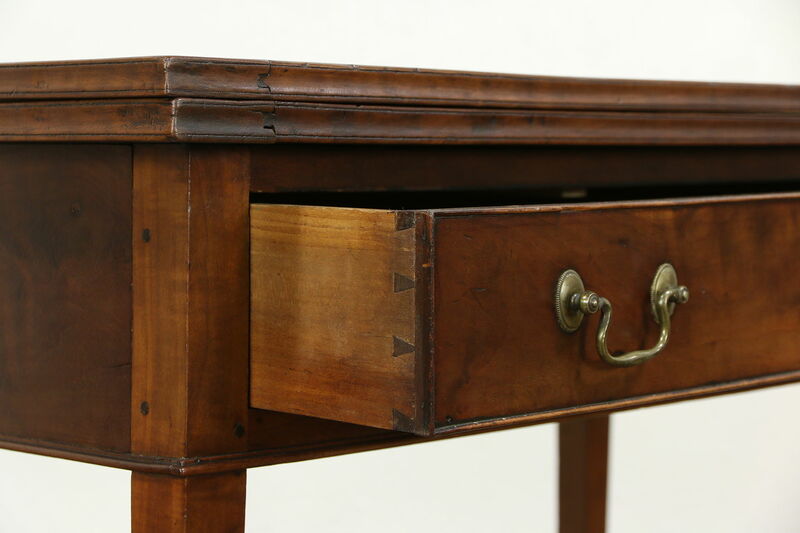 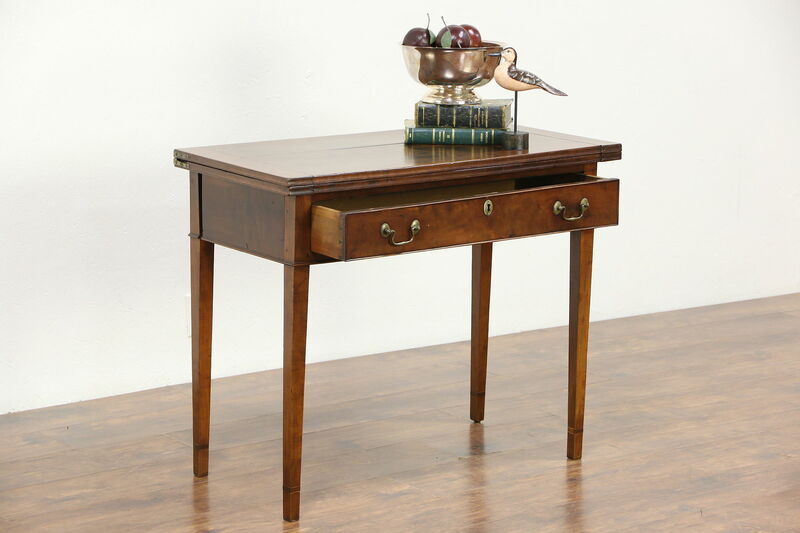 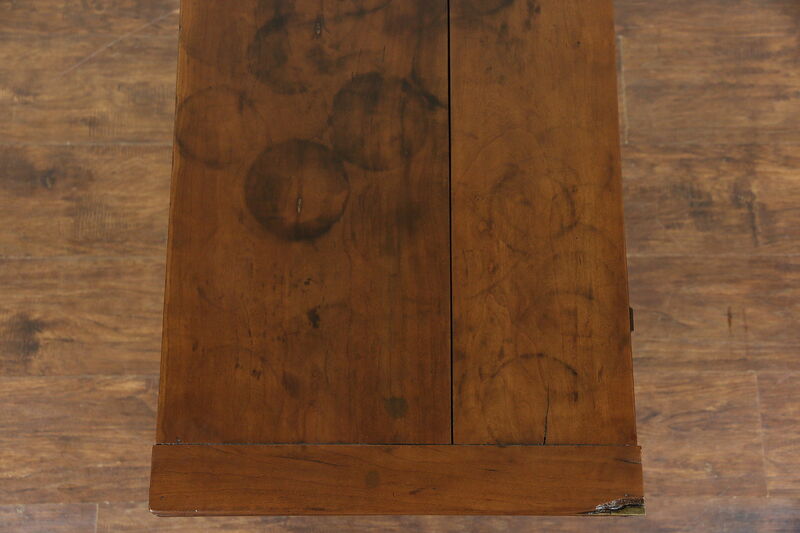 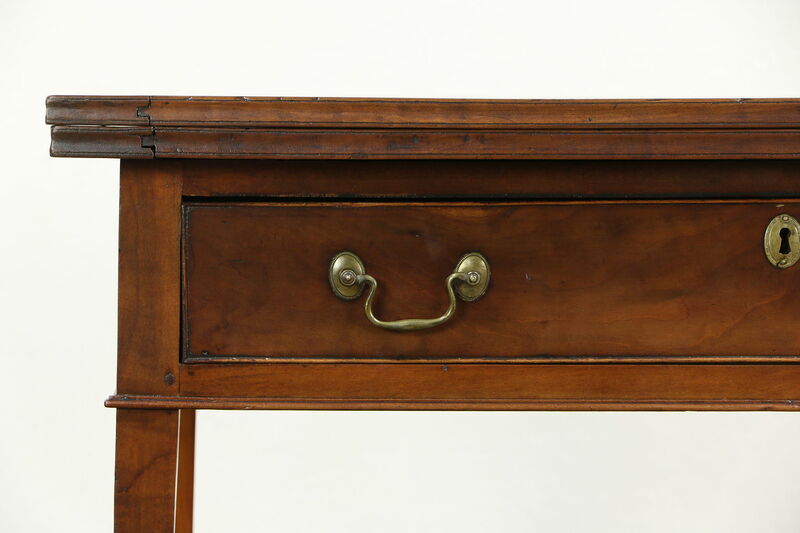 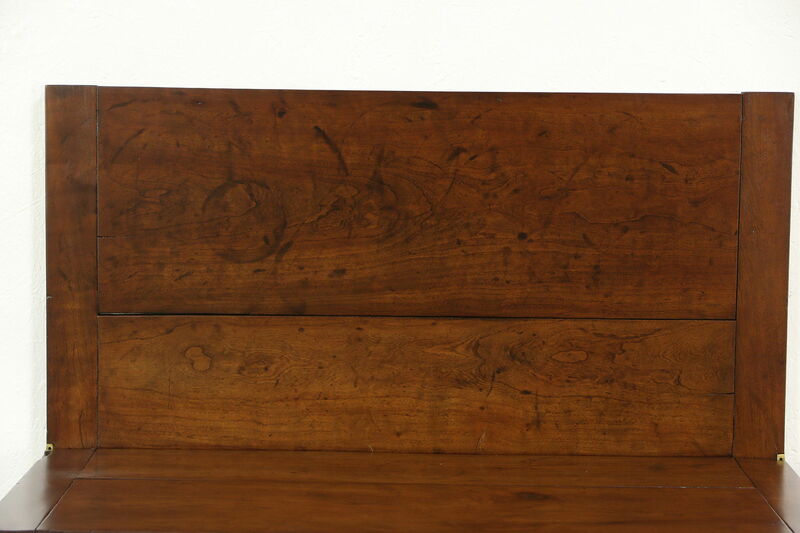 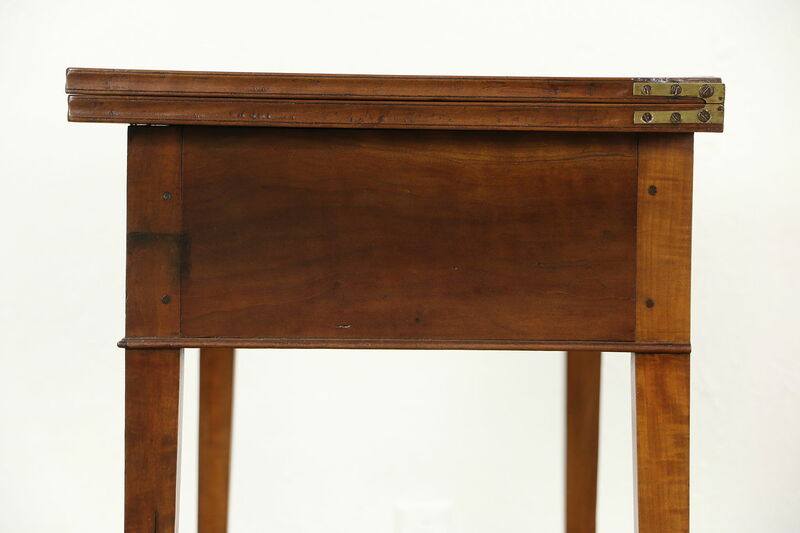 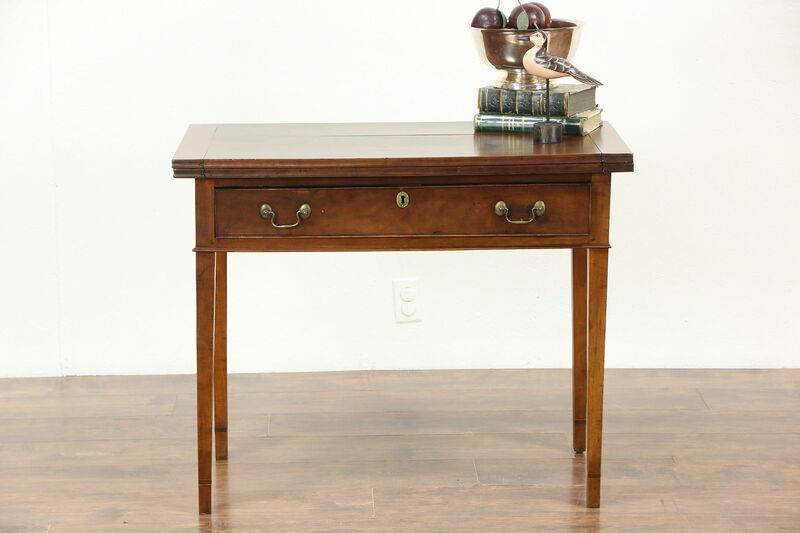 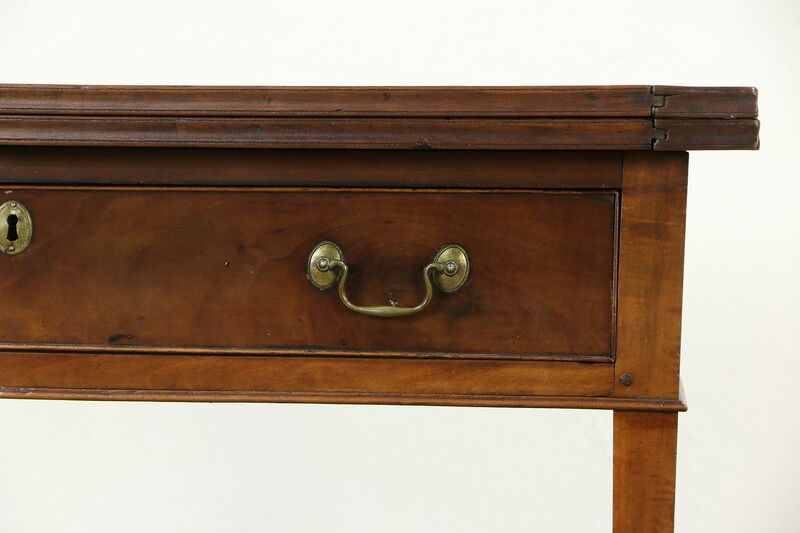 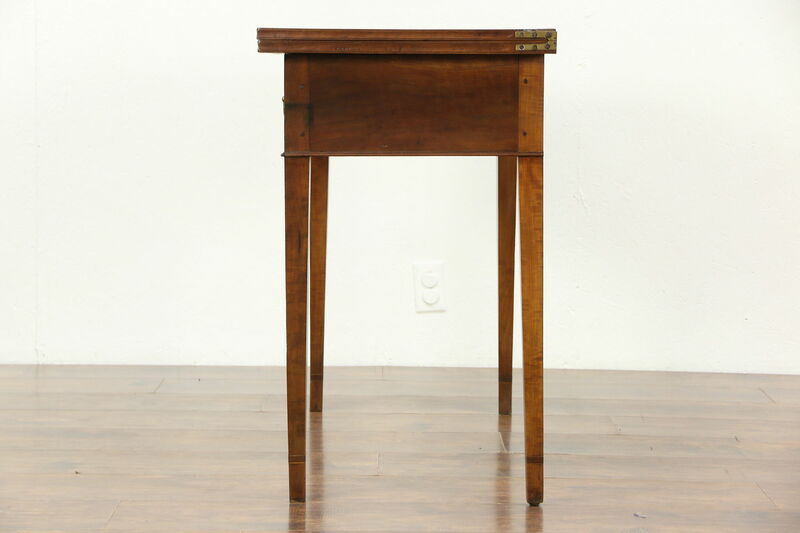 A Federal period hall console table has a flip open top and gateleg to open into a game table, and dates from the 1780's. 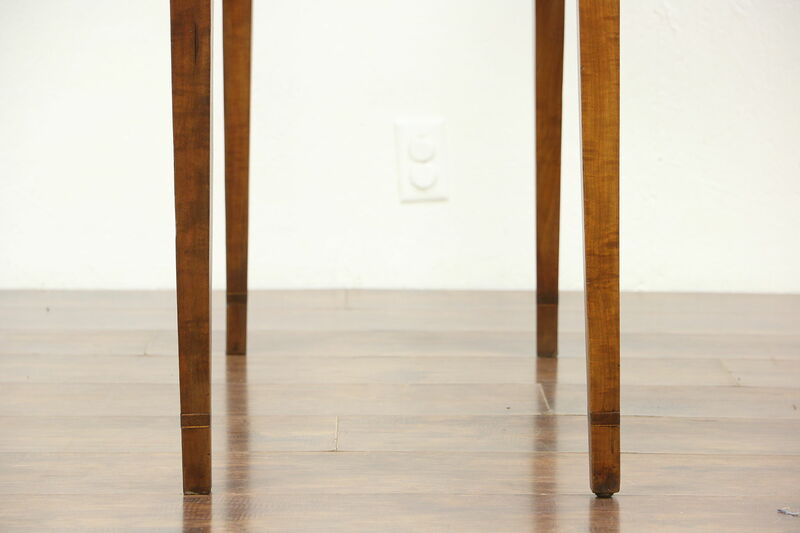 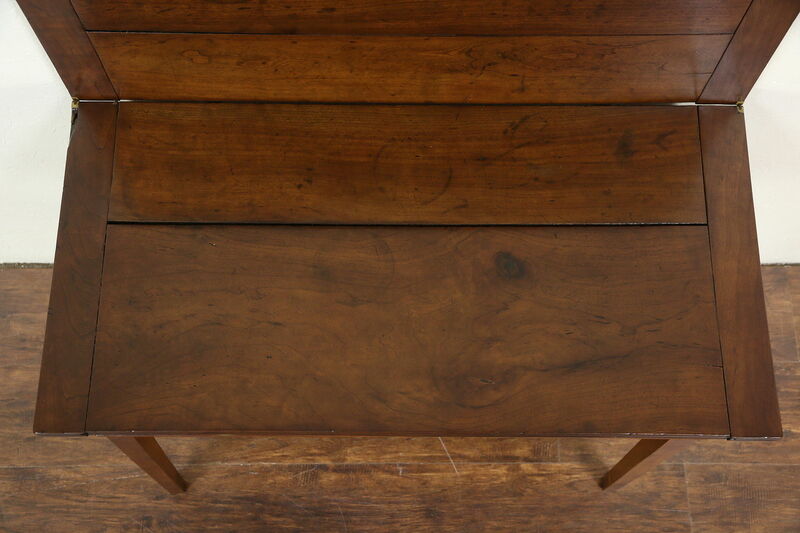 The restored finish on solid cherry preserves numerous stains, shrinkage separations from age and losses for antique character. 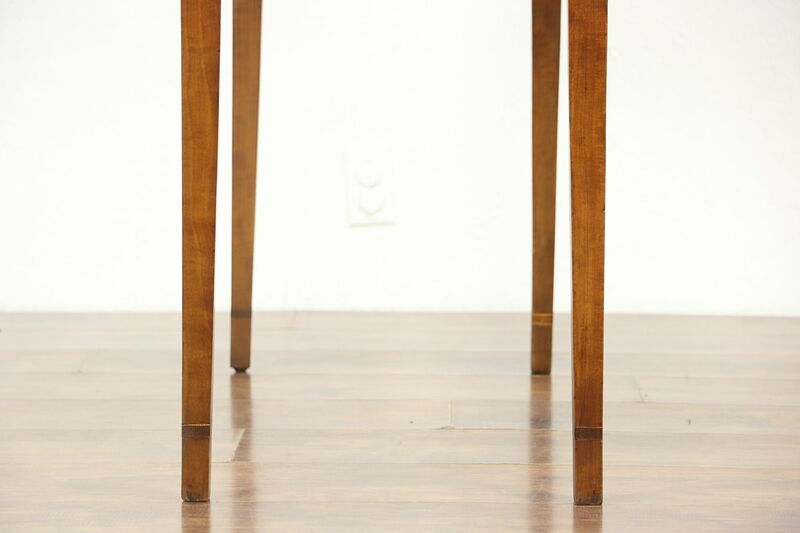 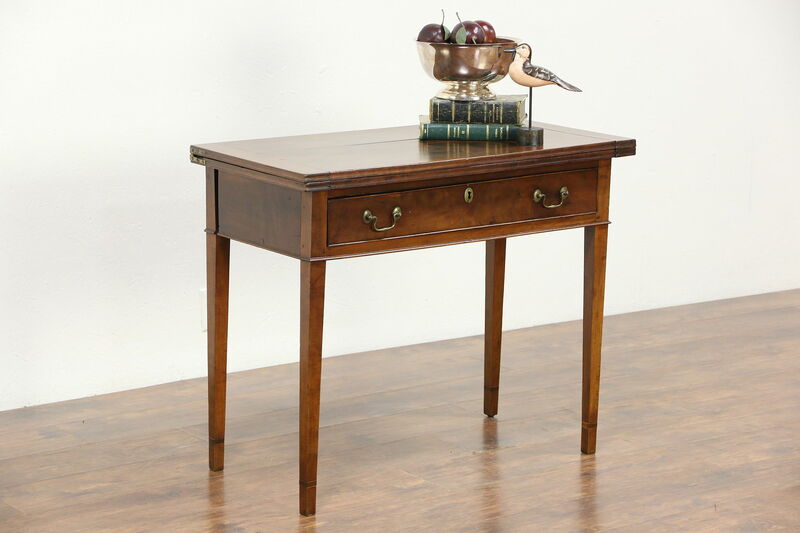 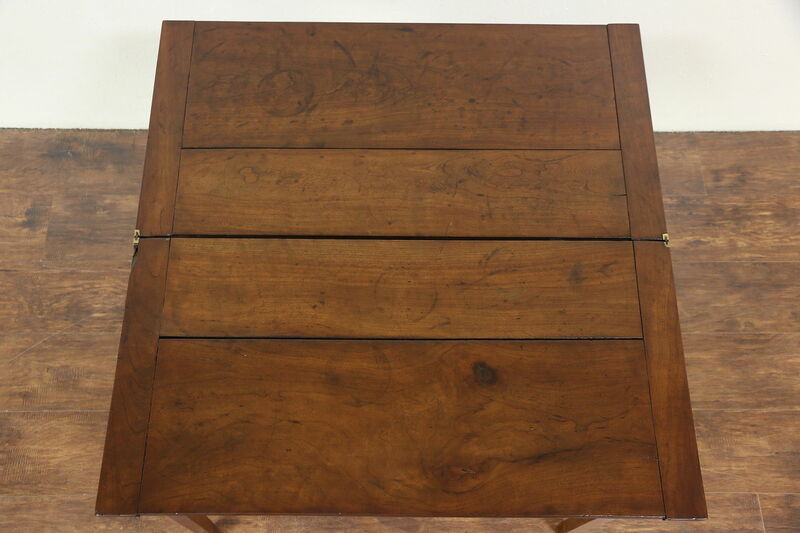 American made furniture from the East Coast, the drawer has hand cut dovetail joints and a chamfered bottom. 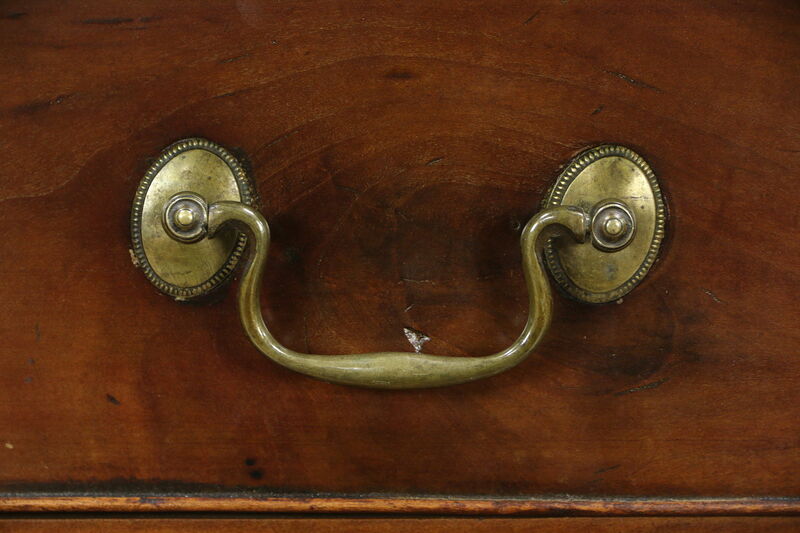 Brass hardware and hinges appear original. 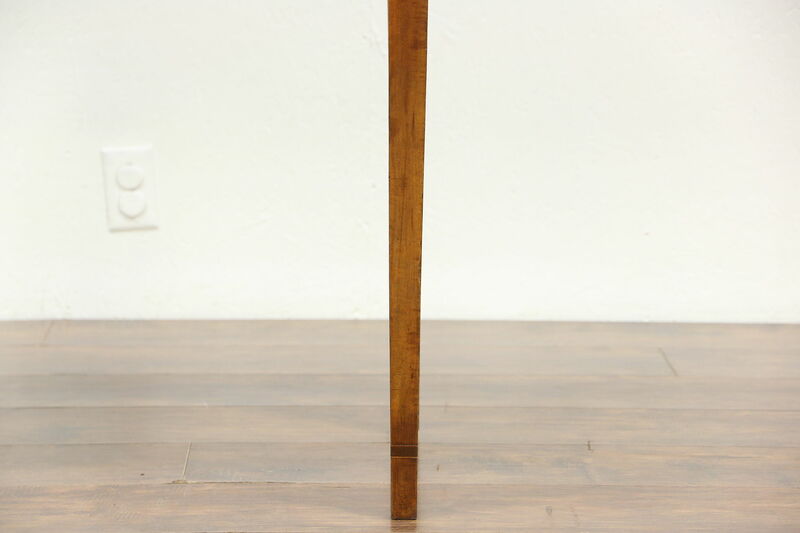 The gateleg swings out on a carved wooden hinge. 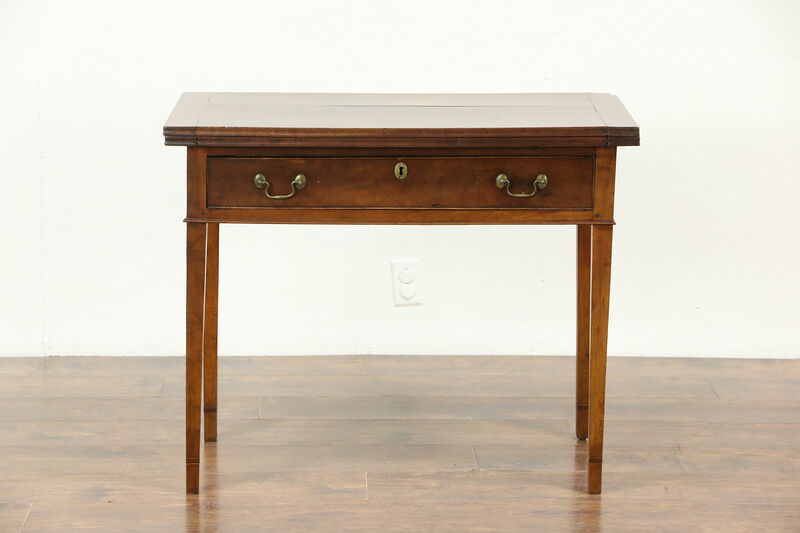 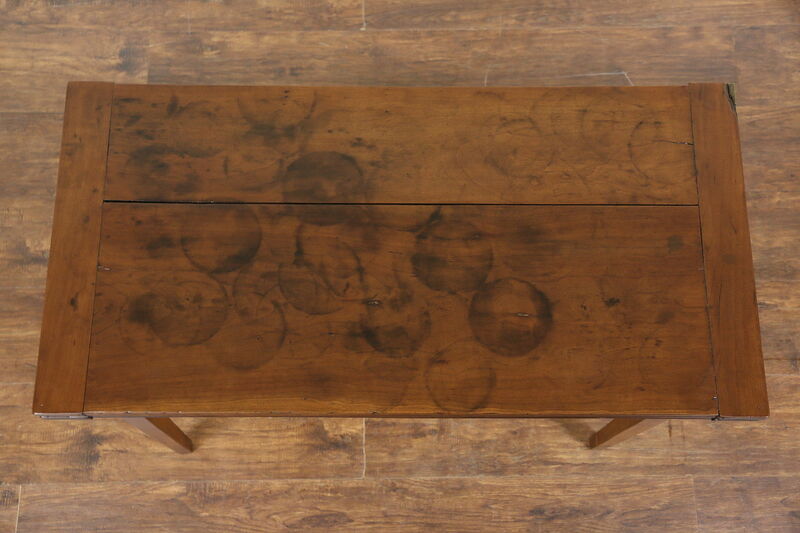 Dimensions in console position are 36" wide, 18" deep and 30" tall, when opened to a game table, size is 36" square.